The VAC Motorsports Performance Camshafts are simply unrivaled in performance, reliability, and value. Being recognized as the "go to" for serious BMW performance, we often get asked for BMW modifications for the not so often modified BMWs. To fill this void for the performance oriented 5 series and 7 series owner, our camshaft development team has worked on V8 cams that meet the performance customers goals. These cam are the perfect drop in camshafts for your M60 or M62: They are fully compatible with the stock valve train and pistons and great to get even more performance from your daily driver, or weekend toy. Compatible with all other modifications like air intakes and exhaust systems. 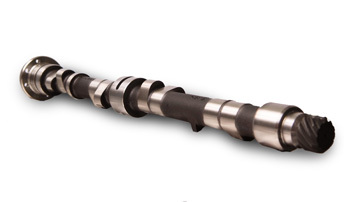 These camshafts are made from new, premium blanks so there are no issues like those of re-grinds. We have the right cams for your application! If you need any help choosing a camshaft set, please call or email and one of our engine techs will help you find what fits your needs. Not yet compatible with VANOS equipped (m62tu) engines (post 1999 models). Piston to valve clearance, as well as lobe clearance should always be checked upon install.